Emily graduated from law school in May of 2012. During law school Emily was an active volunteer, participated in pro bono work, and clerked at the Shanks Law Firm. Since being admitted to the Iowa Bar, Emily has become a member of the Iowa Association for Justice. 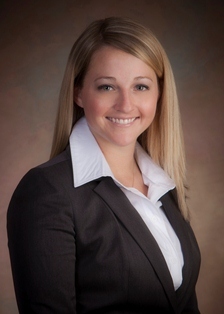 Emily practices in the area of personal injury and wrongful death litigation with a focus on motor vehicle accidents, medical malpractice, nursing home neglect and worker’s compensation cases.